The Rockies received good news Tuesday. It was initially feared All-Star shortstop Trevor Story may have UCL damage in his elbow, but tests showed he simply had inflammation and no clear tears in his arm. Manager Bud Black told reporters the team hopes Story will only miss a few games. 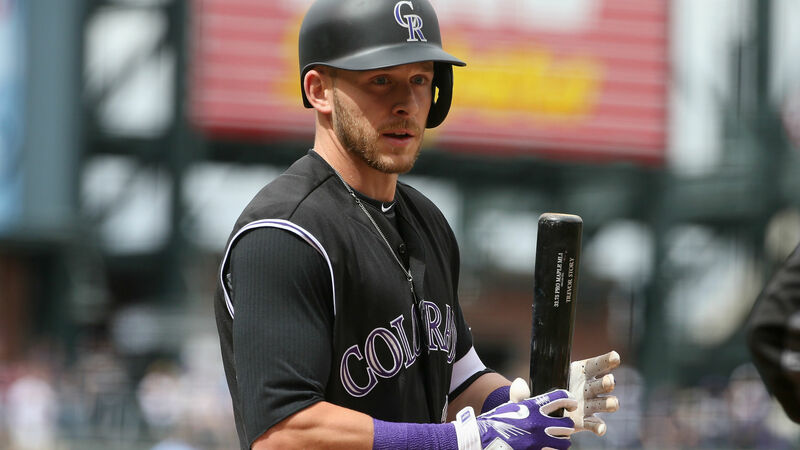 Story left Colorado’s 8-2 loss to the Dodgers during his at-bat in the fourth inning with pain in his right elbow. After the game he said he suffered the injury making a diving defensive play in the first inning, according to the Denver Post. Story is slashing .288/.343/.550 with 33 home runs and 102 RBIs. Monday’s loss dropped the Rockies (82-68) a half-game behind the Dodgers (83-68) in the NL West and a half-game behind the Cardinals (83-68) for the second wild-card spot.